Lifelong Londoner or first-time tourist, one hotel, above all others, has a reputation for being the most iconic, exciting and historic. The building with the distinctive red brick façade, surrounded by luxury boutiques on Brook Street, international flags flying proud above the entrance, has at once the air of a celebrated dignitary and an A-List VIP. It is proud and gracious; modern and historic; a dignified majesty amid many of the showier pretenders to its throne. 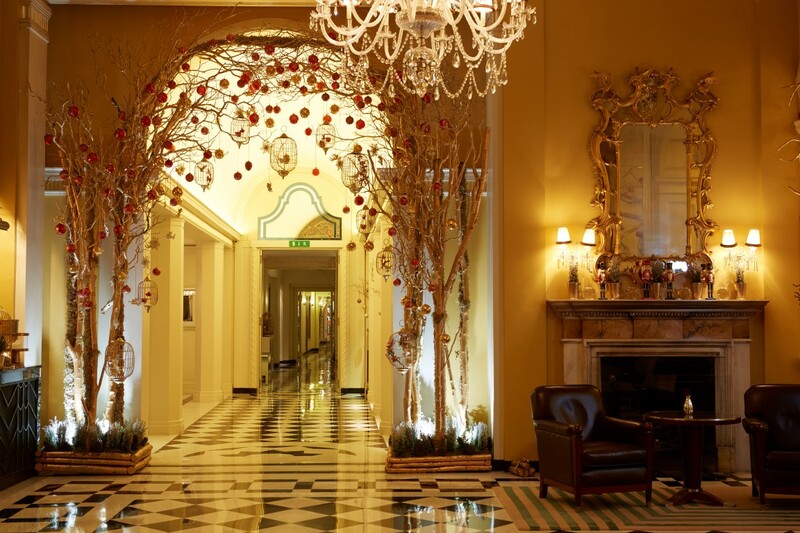 Claridge’s has always been a central figure in London’s high society. For many years in its early life it was a firm favourite with both Royal Family, and those of countries across the world, who used Claridge’s as everything from a party destination to a refuge. In the 1940’s, as war raged across the continent, European royalty, including the Kings of Greece, Norway and Yugoslavia, and the Queen of the Netherlands, escaped to Claridge’s. The hotel became an unofficial royal residence; and one fantastic story recalls an incident in 1947, when a harassed diplomat rang the hotel and asked to urgently speak to the King. He was told: “Certainly sir, but which one?” It was this exodus of royalty to London that lead to an extraordinary occurrence on 17 July in 1945. With the Yugoslavian Royal family, including the heavily pregnant Queen, still staying at Claridge’s, Sir Winston Churchill made an unprecedented concession that saw the hotel’s Suite 212 temporarily become part of Yugoslavia, so Crown Prince Alexander, the heir to the throne, could be born on Yugoslavian soil. 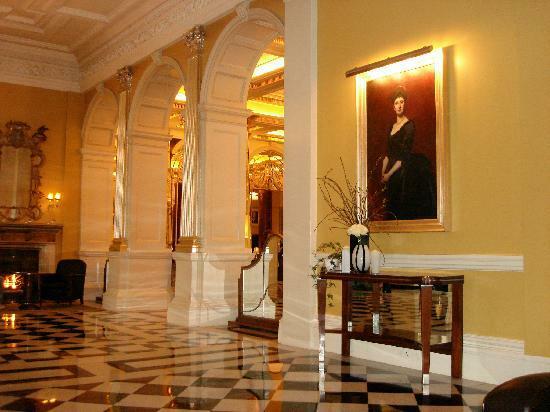 According to legend, Claridge’s staff placed a clod of Yugoslav earth under the Queen’s bed during her labour. After the war, state delegations from all over the world stayed at Claridge’s, and many of these would be invited to attend a banquet in their honour at Buckingham Palace. It became traditional for visiting statesmen to return hospitality by hosting a banquet for the Queen at Claridge’s, causing the hotel to become widely referred to as ‘the annexe of Buckingham Palace’. As a result, the Royal Family chose to host many of their own private parties at the hotel too; and the Queen Mother would often take tea there, with staff always ensuring a fresh bouquet of sugar peas was on her table. Over the years, a different kind of royalty has also enjoyed the luxurious surrounds of this beautiful hotel, and during the golden age of Hollywood, Claridge’s welcomed the likes of Yul Brynner, Audrey Hepburn, Cary Grant, Bing Crosby and Katharine Hepburn. The 1990s saw a dramatic update of the Art Deco interiors, bringing in a modern twist, with David Collins creating the new Claridge’s Bar, and New York-based designer Thierry Despont revitalising the Foyer area with a contemporary feel and a stunning Dale Chihuly chandelier. These days the hotel remains as beautiful and innovative as ever. In 2008, The Telegraph Travel Awards called Claridge’s a ‘byword for refined elegance’; while in the same year, the Forbes Traveller 400 praised Claridge’s for ‘never resting on its laurels’. “Claridge’s stays ahead of the game by constantly reinventing itself,” it said. Most recently it has collaborated with designers, such as Sir David Linley, who recently created three stunning Art Deco suites at the front of the building, and is still a magnet for the great and good of the glamorous world of celebrity. Sarah Jessica Parker, Angelina Jolie, Brad Pitt, Kate Moss and Victoria Beckham are all regular guests – but its reputation as a favourite in the world of fashion is becoming more and more prominent, with the likes of Christian Louboutin, Diane von Furstenberg and Carolina Herrera naming Claridge’s as their home in London. In addition, Marc Jacobs has famously used the hotel as inspiration for his latest Louis Vuitton collection, while Mulberry showed their new collection at the hotel this Spring, and regular guest Paul Smith not only holds his fashion shows in the ballroom, but spends every New Year at the hotel with his family. The hotel has a reputation for being the place to throw an aftercatwalk-show party, and the centre of life during London Fashion Week, so it seems appropriate that some of Claridge’s recent collaborations have cemented its fashion focus. Last July, the hotel appointed fashion illustrator David Downtown as Claridge’s first fashion artist in residence.